This year is already proving itself to be a revolutionary year for the dental industry as various new techniques are trending. From 3D printed prosthetics, to the multiplication of group practices, 2018 is predicted to be an exciting year in dental trends. This article will outline the top five trends that are rapidly changing the industry. Dentistry has been a traditionally male dominated profession, but that has been slowly changing over the last few decades. With a larger share of female dentists in the overall workforce, it is now estimated that 60% of dentists in all of Europe are now female. And the number of female dental students has increased exponentially, with 49.0% of predoctoral dental graduates being women in 2016, versus just 4.6% in 1976. These numbers imply that an even greater number of female dentists will enter the field in 2018, as the percentages of female entrants and graduates are expected to rise. Moreover, older generations of dentists that are male dominant will be retiring, further narrowing the gender gap, and thus changing the face of dentistry as we know it. For more information about females in dentistry check out our other article here. This changing demographic of the dental workforce is raising issues around working patterns, practice models, professional incomes, specialty training and practice, and representation in leadership roles. Within the under 35 age group, 57% of UK dentists are now female. Dental markets in most European countries have been typically dominated by small practices consisting of one to three dentists on average. The dental healthcare system is calling for a greater capacity to treat more patients more efficiently, and aside from the high costs associated with operating a small business, the current small practice business model is coming under pressure. This is mainly because many dentists are approaching retirement age with a lack of newly qualified professionals to replace them. A substantial number of younger dentists also prefers to work part-time, and dentists who are now entering the profession are reluctant to own their own practices. Dr. Edward Meckler, executive director of the Association of Dental Support Organizations from the United States, believes that young dentists are fueling the rise of group practices. Large group practices have something to offer for dentists of all ages, and this practice type is particularly attractive to new dentists. Recent ADA research also states that younger practitioners from the United States who completed their education less than ten years ago are three times more likely to be a part of a group practice compared to those who completed their education more than ten years ago. With that said, in 2018 group practices are expected to prosper offering dentists who are just entering the dental industry several encouraging options. In the UK there is a significant proportion of group practices, and they represent just one quarter of the total industry. 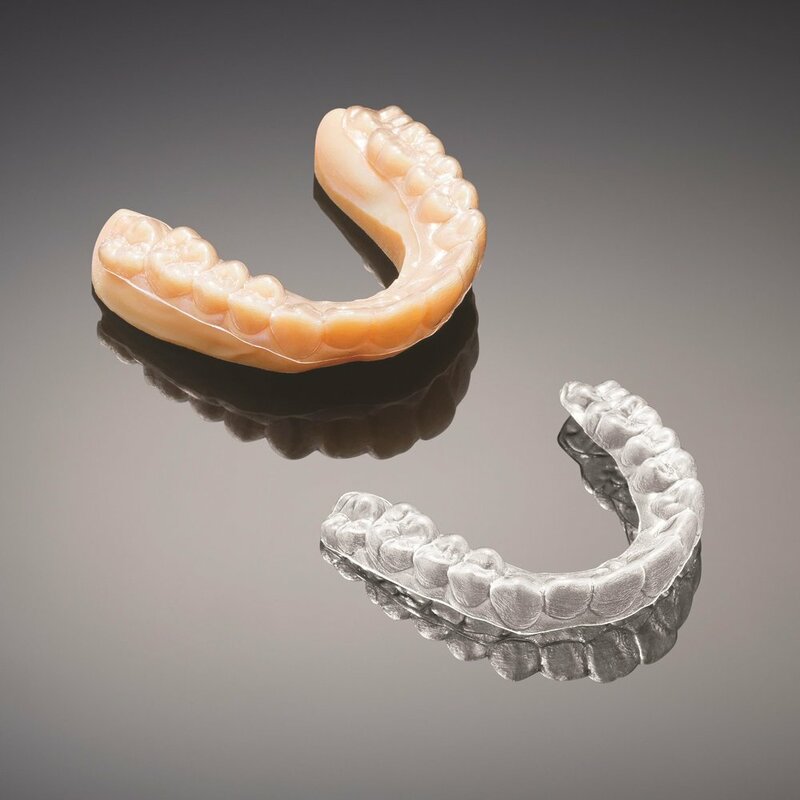 3D printing is essential to the process of making clear aligners. Dentistry has always relied on laboratories to produce crowns, bridges, and appliances, but in 2018 the industry will see a significant drop in this dependency. As 3D printing machines become more available, it will allow for more accurate model-making in less time compared to older, manual techniques. This will result in a lower manufacturing cost for the dentist, and cheaper treatment cost for the patient. Digital technologies like CAD/CAM and cone beam are not new to dentistry, but this market will continue to grow significantly over the upcoming years. This means that these technologies are becoming more widely accessible for practitioners, and today more than 20% of offices in the United States are using some type of digital acquisition technology. As opposed to the traditional ways of registering impressions, taking digital impressions can help dentists tackle certain obstacles, such as eliminating impressions that will chip, crack or deteriorate in time. Virtual impressions will offer a positive and efficient experience for patients and practitioners alike. Example of dental crowns made through CAD/CAM technology. Several studies have confirmed that CAD/CAM crowns present stable physical and mechanical properties, and they may be used for long-term interim restorations. Besides the properties of CAD/CAM-made prosthetics, the process of taking impressions and sending them to a dental lab is becoming faster than ever, resulting in huge cuts in turnaround times. Recently, cone beam computed tomography has started taking over conventional CT scanners in the dental field. These cone beam computed tomography (short CBCT) machines are becoming the perfect fit for dental practices because they do not take up much space and are comparatively cheaper. CBCT also aid dentists in the diagnostic assessment and treatment planning of patients. Cone beam can even evaluate the available bone volume for positioning dental implants, and it allows for great visualization of the alveolar nerve and maxillary sinus. Nevertheless, the implementation of these new technologies is showing improved treatment outcomes. With time these technologies will further prove their efficacy, further convincing practitioners to opt for digital techniques. Even though the use of revolutionary dental technologies and trends are on the rise in 2018, these advanced treatment options will not come at a reduced price. Empowering patient financing will be the challenge for the dental industry and practitioners alike. Dental insurance companies formulate their policies to cover general needs such as routine maintenance, emergencies, and basic care. Implants, alongside veneers, are viewed as cosmetic treatments, and many factors limit dental insurance companies from covering dental implants. Dentists and dental practices do not have absolute control over these types of programs, and healthcare financing companies have to compete fairly on the market to provide encouraging payment plans. However, practitioners can still enhance patient financing, and provide flexible payment plans by suggesting suitable healthcare financing credit cards, and adopting in-house loyalty programs* that can motivate patients to choose the best healthcare option for them, which might be even the more expensive treatment. With these outlined trends it looks like 2018 will be an exciting year for dentistry. Overall, technology has been the driving force behind the biggest changes in dentistry, and this year is no exception. Treatment outcomes will be improved thanks to the wider implementation of 3D printing technologies in dental offices resulting in same-day restorations. Alongside group practices growing stronger, and a wave of female dentists coming into the field, dentistry is advancing at a quick pace which is affecting almost every area of the current dental clinic as we know it. *please keep country specific legal guidelines in mind. Despite the obvious benefits of regular dental care, many patients still regard the dental profession with suspicion and mistrust by potentially failing to understand why a certain procedure is necessary to their oral health. Dentists have to look beyond their dental services to provide a great patient experience. While aesthetic services are increasingly prevalent in multidisciplinary practices, the focus on aesthetics has shifted to the practice as a whole.